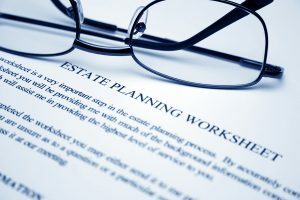 Unfortunately, many people think of “estate planning” as a morbid and distasteful exercise, best ignored as long as possible. Understandably, focusing on one’s mortality and the government’s attempt to tax what you leave behind is not the most enjoyable exercise. Estate planning, however, is much more than minimizing taxes and deciding who gets your property after you’re gone. Rather, it is the ongoing process under which you plan for the well being of you and your loved ones through, among other things, the acquisition, management and disposition of your property during and after your lifetime. Your estate plan is a very personal matter and you should think carefully about how your plan will affect you and those close to you. Each individual and family is unique, with its own needs and objectives. Too often people fail to address their estate needs at all, or attempt to address their unique situation with a standard form, without thought as to how that form will satisfy their specific needs. The sooner you begin the estate planning process the more options you will have to accomplish your objectives. As long as you are over age 18, you are not too young or too old to implement an estate plan. Procrastinating however, may result in your involuntary adoption of the state’s plan rather than a customized plan that meets your individual needs. Failing to plan will also cost you and your loved ones much more in the long run. While minimizing estate taxes and deciding what should happen to your property after your lifetime are important aspects of any estate plan, they may be dwarfed in importance by other issues. For example, with today’s medical technology, people are living longer, but are not always able to care for themselves, their dependents or their property throughout their entire life. Therefore, a will alone, no matter how comprehensive, is no longer an adequate estate plan because it only becomes effective after death. What happens if you some day become mentally or physically unable to care for yourself, your family or your property? In addition to a will, a complete estate plan must include supplemental instruments that give instructions concerning your well being and property management during your lifetime, such as living wills, powers of attorney or trusts. Who will make health care benefits for you if you cannot? Who will care for your day-to-day needs if you cannot? Who will manage your property for you if you cannot? Who will care for them if you cannot? How will gifts or bequests from you affect their lives? Should any conditions be placed on their receipt of property from you? If you don’t want them to control and manage the property you intend for them, who should? Does an equitable distribution always mean an equal distribution? For example, do some children have greater needs than others? Would some children be better off receiving property in trust while others are better off receiving property outright? Will they provide the income and resources you need during your lifetime? Are they easily managed by someone else? Are they easily divided among your intended beneficiaries? How will your estate plan affect the business’ future? How will your estate plan affect your family’s relationship with any business partner(s)? What can be done now to reduce the likelihood of disputes over the value or control of the business? Should you own your property as sole and separate property, community property, community property with right of survivorship, joint tenants with right of survivorship, tenants in common, in trust or some other way? What are the tax consequences of making lifetime gifts compared with testamentary bequests under a will? How can charitable gifts be structured to reduce estate taxes without depleting the estate for your loved ones? How can you reduce your taxable estate by giving away part of your business now but maintaining control of the business until you are comfortable letting your children take over? What is the most tax efficient way to provide for your children’s or grandchildren’s education and future? 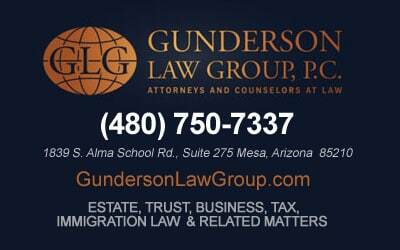 If you have not already done so, you should contact an attorney specializing in estate planning to assist you in implementing a plan that is right for you and your family both during and after your lifetime. Once implemented it is important to review your plan every year or two to ensure that it continues to satisfy your needs under your current circumstances. Properly approached, estate planning is an enjoyable exercise that can help secure a happy and prosperous future for you and your loved ones.